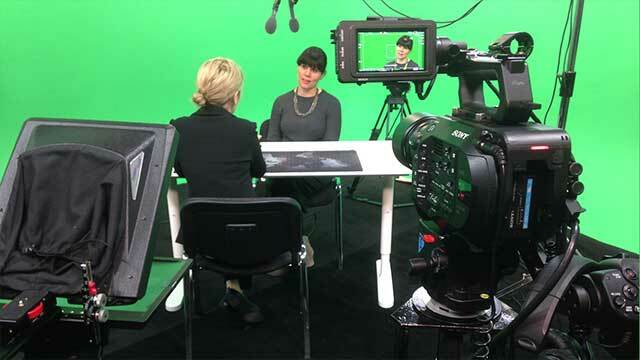 A green screen production can often be misconstrued as a complex proposition; removing an existing background and replacing it with another, often virtual background, can make some clients reach for the paracetamol. Yet to us here at Galleon Studios our skills and experience mean your project is in safe hands. Galleon Studios is widely regarded as the best green screen studio in the northwest. With unparalleled expertise in chromakey, the studios contain the kit and know-how to make your green screen project a flawless reality. 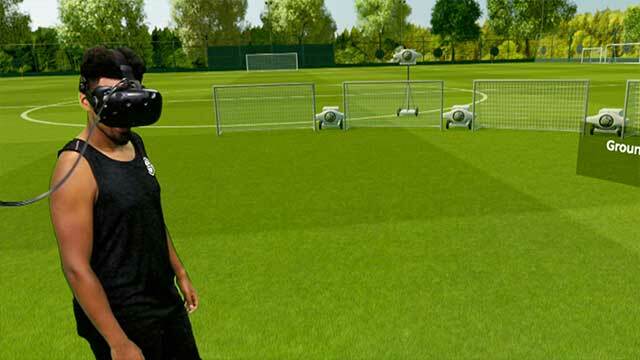 Pick our brains, use our lights and benefit from our unparalleled green screen know-how. The main green screen studio is a large infinity cove; a perfect location to place your subject in a virtual space. The infinity cove is typically chroma green and painted with specialist green screen paint prior to every hire to ensure a faultless start to your production. 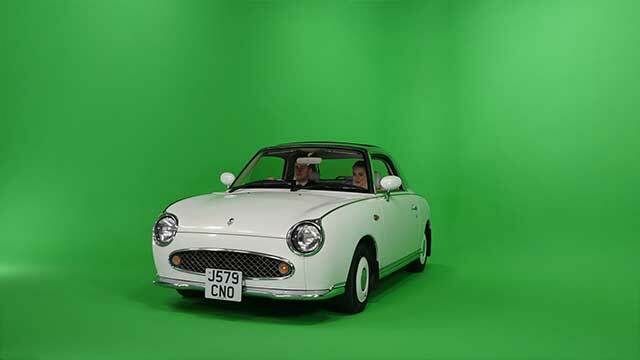 What do you get with the green screen studio hire? Lighting is essential in creating a useable green screen and consequently here at Galleon Studios we include lighting in the hire cost. The green screen is per-lit meaning it’s ideal to key on from the get-go but if you need more help you can hire a lighting specialist to stay with you throughout your shoot. This gaffer can rig and set-up lights according to your requirements to ensure your green screen production is filmed perfectly on the day and ensure no post-production headaches. Want to know more about lighting for green screen then read our blog posts on how to shoot for green screen. Available to hire for an additional cost is the Live Keyer and if you already know what your background is then we encourage you to use it to preview your green screen as you film. This unique piece of kit takes an SDI or HDMI feed and matches it with your virtual background giving you the opportunity to view your final finished key. In this way the lighting can be altered to replicate your eventual background; need your subject to be stood in a field on a bright sunny day? Then Galleon can light the green screen studio with a bright “key light” in the exact position to match that of the sun in your background plate. Not only is the live keyer an effective way of seeing your final composited image it is a real wow factor if clients are on-site too; allowing them to see their green screen production project come to life. With our comfortable green room offering live monitoring your client and you can relax in stylish surroundings as you film. 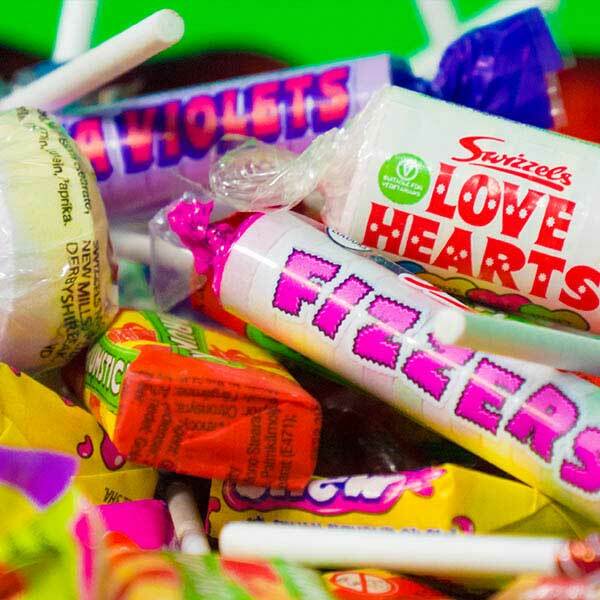 What’s more a variety of green screen props and equipment are available either for hire or included in studio hire. 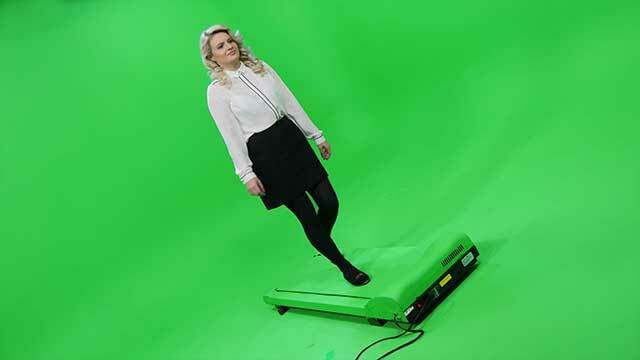 These include a green screen treadmill, turntables, curtains, painted chromakey boxes and other useful items amassed from more than a decade of green screen filming experience at our north Manchester studios. The soundproof studio is ideal for talking heads and green screen interviews. The smaller space is ideal for filming more intimate productions and again the live keyer, moco-rig and any other kit can be used in this sound protected environment. No matter how intricate, or simple, your lighting set-up is there’s no need to hire extra lamps and no further cost to your days hire as lighting is included in the daily rate. If you need to match a moving camera shot to your background then that’s where Galleon Studios Moco-Rig comes in. The Ditogear Omnislider can be programmed to replicate and duplicate the exact shot time and again meaning even the most complex effects shot can be achieved in the studio. Galleon Studios have worked in the industry as Galleon Productions for many years. We encourage you to “pick our brains” regarding your potential green screen project. With our post-production experience, we can also advise the best software to complete the green screen effects work and you can even use this on the day of your hire to test your footage as it rolls from the camera. Also keep in mind that all of the kit mentioned above, autocues, cameras, moco-rigs, turntables and jibs, live keyer, as well as the green screen itself are portable so they are available to hire on location. Galleon Studios also have blue screen options as well so get in touch if you require blue screen hire rather than green.